Send your details to the travel advisors at Chimu Adventures for more information about this trip. 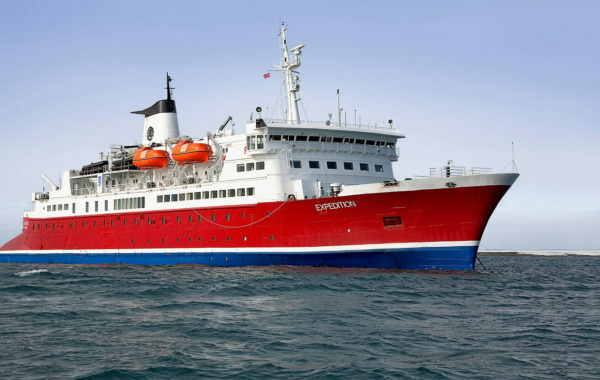 Nine nights aboard the ice strengthened M/S Expedition. Two landings per day at the Antarctic Peninsula. Onboard library, gym and sauna. A true adventure to the world's most remote wilderness, a world of immense scale and visual splendour. This 11-day expedition introduces you to the magic of the South Shetland Islands and the Antarctic Peninsula, home to some of the planet's most impressive wildlife and most dramatic landscapes. 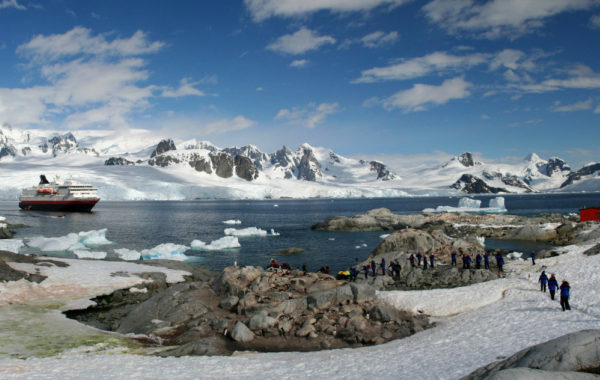 Encounter whales, huge icebergs, enormous rookeries of penguins and stunning landscapes that few have ever witnessed. Throughout this voyage, a team of onboard lecturers and guides will share their knowledge of the region's remarkable natural history. You'll be met at arrivals by a Chimu Adventures guide and taken to your pre-cruise hotel. Depending on your arrival time you'll have time to explore this, the southernmost city in the world. Your guide will be happy to offer dining recommendations. 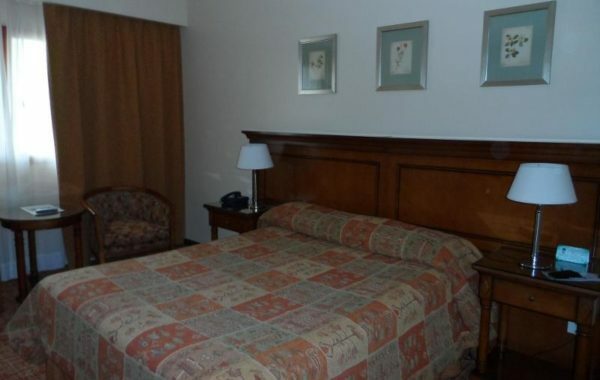 A modern, comfortable hotel facing the Beagle Channel and just minutes from the port for convenient embarkation. The Albatross has an on-site spa, hot tub and massage room. 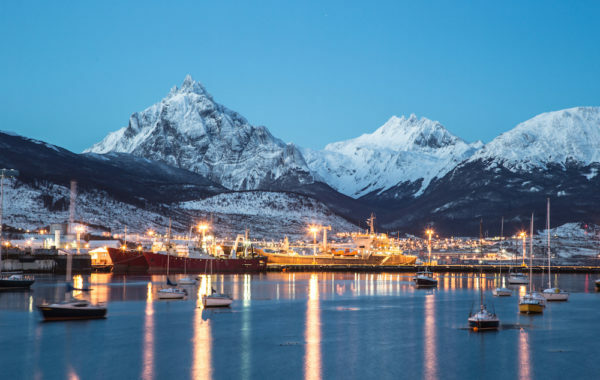 Spend the morning at your leisure, exploring the city or enjoying an optional visit to Tierra del Fuego National Park, or a hike to Marshall Glacier. Embarkation time is set for 4:00pm, once on board your expedition leader will give you a welcome and expedition overview. As the sun sets over the Beagle Channel you'll enjoy your first night on the cruise of a lifetime. The M/S Expedition offers an affordable small-ship cruising experience. Completely refurbished in 2009, she boasts spacious cabins, each featuring ocean-facing windows or portholes and private en-suite facilities. Large common areas and observation decks provide panoramic views of the distinctive landscapes. The Expedition's spacious confines can hold up to 134 passengers, creating an intimate and enjoyable atmosphere. Your adventure begins with an 800km (497 mile) crossing of the passage that bears the name of the 16th century English explorer, Sir Francis Drake. The M/S Expedition is at home in this part of the Southern Ocean, known for the unimpeded fetch of the winds that encircle the Antarctic. On the second day you'll cross the Antarctic Convergence, a meeting of cold polar water flowing north and warmer equatorial water moving in the opposite direction. This mixing pushes nutrient rich waters to the surface attracting a variety of seabirds, whales and other species. Crossing the passage, you have time to become acquainted with the ship and its common areas, including the lounge, dining hall, library and lecture hall where you meet your guides, ship’s crew and expedition staff. Also commencing are a series of lectures on the extraordinary human and natural history of the Antarctic region. Keep a look out for sightings of icebergs, whales and albatross following in the ship’s wake. Finally, what you've been waiting for - a chance to step foot on the great White Continent itself! 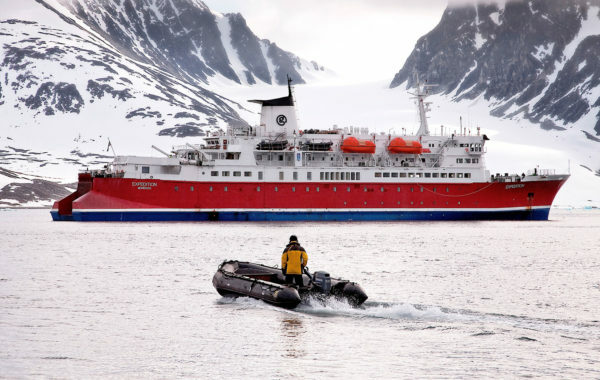 Over the next four days you'll navigate southwards making stops in the South Shetland Islands then through the Bransfield Strait and on to the Antarctic Peninsula. The goal is to attempt two excursions per day while cruising, but the daily schedule is determined by local weather and ice conditions. 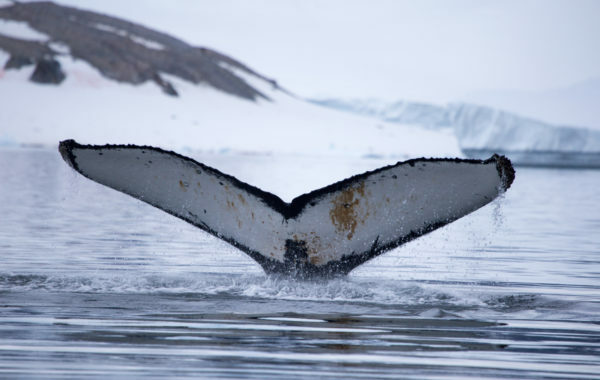 During the voyage you'll learn about the Peninsula's remarkable history and encounter gentoo, chinstrap and Adélie penguin rookeries, Weddell, crabeater and leopard seals as well as orca, humpback and minke whales. The ship will plot its return course but the adventure is far from over. Heading back across the Drake Passage you'll enjoy more bird and whale watching and listen to some final lectures by the expedition staff. These final two days are the perfect opportunity to relax, enjoy the ship's facilities and review the highlights of the past week. And so the expedition comes to a close. You'll say your goodbyes to your crew and new friends as you disembark back in Ushuaia. Depending on your onward journey you'll be returned to the airport, hotel, or perhaps your onward destination in Patagonia. Speak to a Chimu Adventures advisor to discuss your options! I would have to say the trip was truly a "once in a life time" and certainly would go again given the opportunity. I was fortunate to be upgraded which was a very pleasant surprise. The captain and crew were excellent and being allowed on the bridge was a bonus. The cabin crew were wonderful and looked after us well and kept the boat clean. They were always friendly and smiling. The scientists were always very keen to share their knowledge and were a fun group. The boat was a very relaxed place to be. 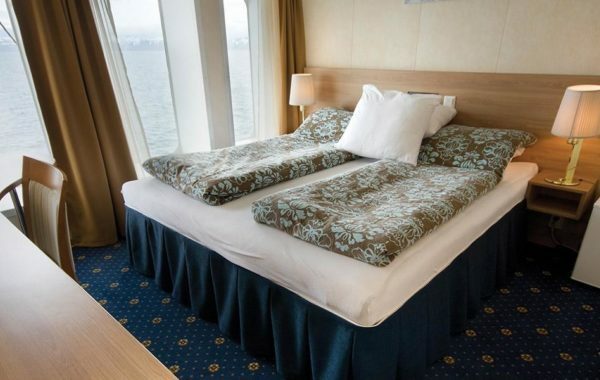 Nine nights shipboard accommodation. One hotel night in Ushuaia. Expert guided landings and excursions on the Antarctic Peninsula, plus a series of lectures while onboard. All meals (breakfast, lunch and dinner) aboard the ship.